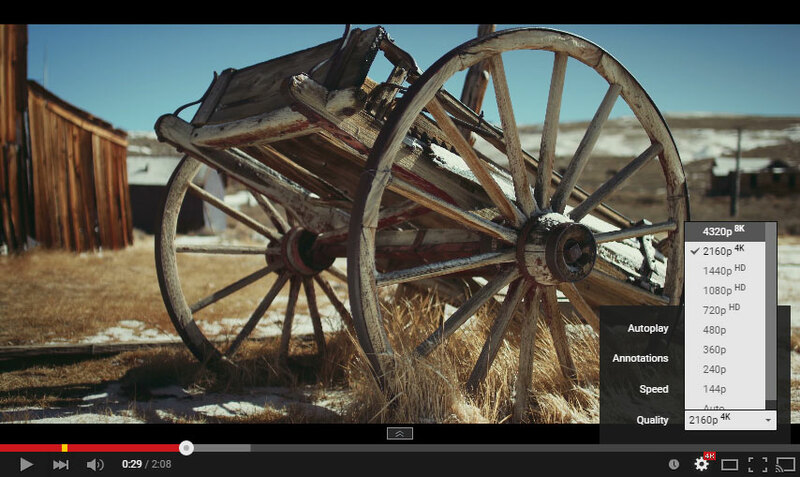 The equipment to shoot it might not exactly be widespread, and the displays needed to view it at home are even less so, but 8K video has made its way to YouTube. It’s a feature the outfit announced way back in 2010, but only just recently did a clip surface that actually uses all of those lines of resolution. The clip’s called Ghost Towns and it’s a slow-panning journey through what looks like a recently abandoned mining settlement. Mountain View told 9to5Google that the 8K label was added earlier this year, but 4320p footage has only appeared pretty recently. 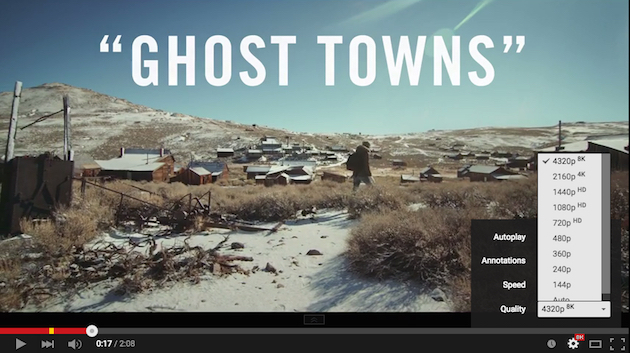 The video description notes that Ghost Townswas shot using a RED Epic Dragon 6K camera in portrait orientation and to hit the higher resolution, some of the footage was upscaled or stitched together with Adobe’s After Effects suite. Very few of us will be able to watch this on our everyday machines thanks to the sheer amount of system resources it takes to handle a video of this magnitude, but those who can should be happy to know it apparently runs in Chrome and Safari. Of course, you can peep it in lesser resolutions below as well.